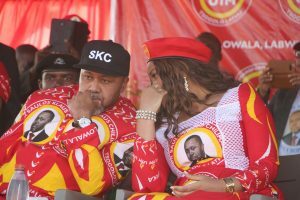 Vice President Saulos Chilima who is also leader of the United Transformation Movement (UTM) will on Saturday, August 18, conduct whistle stop tours in Dedza as he heads to Mangochi for a rally on Sunday. UTM Publicity Secretary Chidanti Malunga said Chilima will first stop at Bembeke Turn Off, then stop over at Masasa. After Masasa he will address people at Mganja then Golomoti before concluding the whistle stop tour at Mtakataka/Monkeybay Turn Off. The major rally, which is also the last in a series of UTM launches, will take place at St Augustine 3 ground in Mangochi on Sunday, August 19.